I’ve just got my RA8875 based 7″ LCD up’n running together with Arduino UNO. After a bit of struggling with removing SMD resistors, “jumpers”, bad connections etc. I first got it working with the example files for the Adafruit RA8875 Driver Board. I then started investigating the capacitive touch screen controller (FT5206). After reading the documentation and some experimenting, I finally managed to write a driver for 5 point multitouch. I’ve pushed the arduino code to github for those who are interrested. The code includes the basic wiring details. I really like the feeling of the capacitive touch. Too bad that most “hobbyist” screens typically come with resistive screens. on page 12 for 4-wire serial mode. I ended up removing resistors R1,R2,R3. Doc says that they should be 10K. If I remember correctly 0ohm resistors were presoldered (as it should for 8080 mode).But I didn’t have any SMD resistors at hand (if you had it factory set for 4-wire mode R1->R3 are probably 10K already. In that case I guess that you should NOT have removed them). That’s what I remember… It works, but I have a strange issue with pin 12 (ref. comments in code: https://github.com/hellange/arduino/tree/master/lcd_capacitive_multitouch). Not sure if that’s related to the missing resistors. I know that Jason over at http://atomsoft.wordpress.com/ have tried the display and even written an app for the jumper settings! Let’s see if he can share some of his experiences. What’s the connect fix hole ground ? How are you powering it? Only through teensy? I have the 3.1 now and i havent tested yet but the regulator is only 100mA output which means it wont work unless you supply more current. 500mA as a test should work. Ill give it a go today or tomorrow and see. Oh ,I thought the Teensy board could still deliver 500mA . That would explain the whole thing offcoarse ! The screen draws 330 mA at 3.3V according to the datasheet. Also ensure that the FPC/LCD Connector is on well. A friend of mine received one with the connector not fully soldered. Yes pin 12 is also wired to the Teensy, FPC(CON4) seems to be soldered fine… I’ll give it another go tomorrow 😉 . I’m from Belgium but my “day job” is in the evening ;). 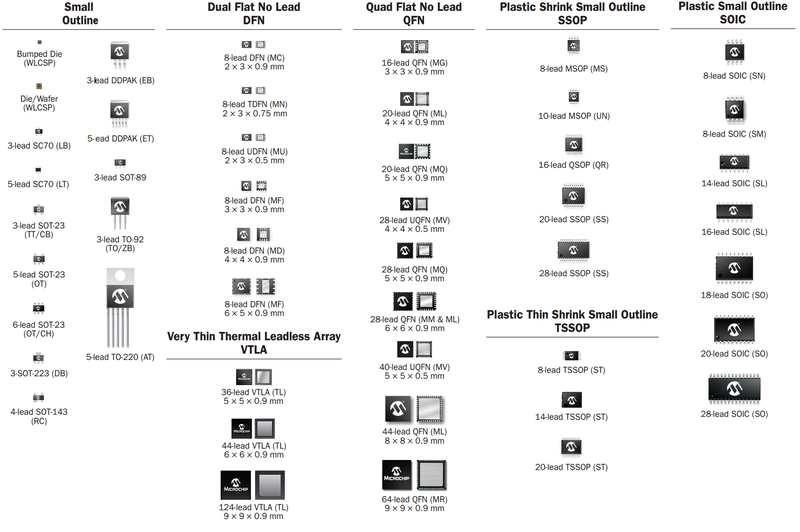 I think im going to have to play with that Teensy 3… Where is the best place to get one? They have a list of dealers on their site , but you’re from the states so I think they sell direct to you ! Cool. Ill take a look in a bit. Please let me know more details. Thank you. I’m using http://www.buydisplay.com/default/7-inch-lcd-module-capacitive-touch-screen-panel-i2c-spi-serial which has a built-in RA8875. Thank you for the reply. I bought 5″ with Resistive touch. I want to operate it via 4 wire SPI mode, but nothing happens. I noted that R1,R2,R3 are 0 Ohms (as you mentioned before) and they should be 10K. Did you add any resistors after removing them? I did not add any resistors after removing them. Hi, I bought 5″ one with resistive touch. In there R1,R2,R3 are 0 Ohm. I want to communicate via 4 Wire Serial (SPI) mode. I cant mount 10K to R1,R2,R3.. but i can remove them easily? Is it okay to do so? Presently nothing happens.. no any sign. “presently nothing happens ” — I mean no any sign or any thing. Just the same look as it is not powered. In my case, R1,R2,R3 are zero Ohm resistors. I can remove them, but i don’t have facility to solder them to 10K. Is it okay to remove them and use? (without soldering anything) In your second comment you said you removed them but there is no sign that you soldered 10K again. I removed the resistors, did NOT solder any new ones. Jason(atomsoft): I’m sure a forum would be nice. I’ll link to it, no problem. For some odd reason when i try to use your lcd_capactive_multitouch.ino example I get this error while verifying . I guess never mind.. Weird when I removed (FT5x06.cpp and FT5x06.h) from there own library folder and placed them directly in the sketch folder with lcd_capactive_multitouch.ino It verifies just fine. hmm Odd tho……. It’s been a while since I visited this code, but if I remember correctly I left the cpp and h files in the same directory as the main file. Feel free to post a comment if you find out why it fails when you put them into the library folder. So does the touchscreen you got come with the FT5x06 controller? It looks like your code uses the FT5x06, but I don’t see any wiring in the image for it. Thanks! This is the best source I’ve found for running a nice capacitive screen with an easy to use microcontroller. I am hoping to get this running on a teensy 3.1. The controller is included on the board. It is programmed over a separate I2C bus on pin 34 and 35 if I remember correctly. (It’s been a while since I used it). Just make sure you order it with capacitive touch, not resistive. Also take a look at Jason’s blog over at http://atomsoft.wordpress.com/. He has also experimented with this board. Thank you for your reply! I’ll certainly check out both pins. By the way, it was a smooth move including some of the pinout on your git code. The comments there confirm that it was over pins 34 and 35. Heh yeah on my github I have it on all my capcitive code but since he si using teensy 3.1 he will most likely use the arduino style code. Btw. I got 8bit working finally. Check my blog. Even make a nice keyboard. Hi, guys! I have a TFTM070-5 LCD with on-board RA8875 controller. I’m trying to communicate with this screen through my PIC32MX. So I have connected LCD to my PIC expansion board and I’m using source code from the manufacture’s website but the screen won’t even turn on. Can you please help me? So I’ve board configured to 4-wire SPI, 5.0V. I believe jumpers and resistors are ok. Can provide my source code if needed. Make sure you are toggling the correct reset line. Mines failed because of that. Also does backlight show? Can you please tell me what is correct reset pin on the LCD? No, no backlight. You have to try 2 different ones… either 11 or 12… i have 2 of these lcds… one in SPI and one in Parallel 8 bit. The SPI seems to use pin 12 C86 as the reset and the parallel one uses the pin 11 RESET as reset… its weird but since they wont give a schematic out i will never know what happened. I am using pin 12 to reset LCD, also I will check your program tomorrow! I really appreciate your help! George had a SPI issue … we got it resolved. Hope you have fun now George. One side of J17 is connected to the top right hand hole (seen from pcb side), so that is the fix hole gnd. Could someone explain the flash memory on the ER-TFTM070-5? I had assumed that it is needed to display (complicated) graphics, and could be written to via the display interface. So the flash can only be written to off board? And what if you later want to change the ‘kind of information you want to store’? I think I’ve misunderstood something here. Yep. There is no external interface for the flash. Is it then used for image data? It´s been a time since i did this, but according to the image in the article (https://weatherhelge.files.wordpress.com/2014/02/img_8646.jpg) I didn´t connect all the VCC and GND shown in the buydisplay PDF interfacing document. However, I don´t say that I RECOMMEND leaving the others out. But did someone modify that Library to order to have a good image show on the TFT screen ??? I only got flickers, weird lines, and this is only sometimes. Usually, the TFT is recognized by my Arduino Mega, but nothing shows on the screen. I wont get through the Arduino -> Ra8875 pinout connection since I receive a “RA8875 Found” from the Arduino, so SPI is communicating. Anyone got an idea ? I’m trying to show the vendor that the screen is defect, did anyone manages to make this screen works with the adafruit_ra8875 library untouched (except for the pinout definition). Are you sure the power supply can deliver up to 400-500mA ? Some have had problems powering it directly from small boards. Is it configured with 4wire SPI ? I´ve also experienced some instabilities with this board, but I think/thought it´s because I did some bad soldering while removing/changing resistors on the board to make it 4wire SPI. I don´t remember if I tested the untouched Adafruit code directly. Have you tried with my code ? Try changing the reset line to C86 line instead and tell me results. I originally tested this board with Arduino UNO. I accidentally saw this post http://forum.pjrc.com/threads/26256-Has-anyone-tried-running-the-GSL16880-capacitive-touchscreen-controller-with-Teensy3 where PaulStoffregen indicates that the interrupt part in my code will not work properly on a Mega. I never tested that. Just be aware. I’ve just tested with a Mega. I just moved the I2C from a4(SDA), a5(SCL) on the UNO to pin 20 and 21 on the Mega. Did not change the interrupt pin. Seems to work ok.
Hi again and thanks for trying to help me out, it is really appreciated. Yes I tried both /Reset (pin#11) and C86 (pin#12). Same symptoms. By symptoms I mean: 1 power cycle out of five, backlight is activated, got weird output from the tft screen (white/grey filled screen with vertical red line) and 3 small led activate near the bottom/under the tft screen (using the example Adafruit RA8875 example), the other 4 times out of 5 the ra8875 is still detected but nothing show on the screen, no led. I’m powering this TFT board with an exterior power supply, so no worries with the power from USB or the Vreg off the Arduino. Seriously, may I ask someone who can test a Good known ER-TFTM070-5 or equivalent with any arduino using the Genuine untoutched Adafruit-RA8875 Library (except for pin definition)? I will really be appreciated. Can you email me. Atomsoft@gmail.com. I would like to help you I have a 5v arduino and 3.3v arduino pro. Ill be glad to try and help you out today. Since its Halloween ill be a bit busy but will still help you out. Jason at Atomsoft is always helpful, I really appreciate it! If you guys find out of the problems, it would be nice if you posted the problem/solution here. Ill be glad to mention Rousselle has his problem resolved. It was a timing and power issue with his voltage translators on his spi line. To remedy the problem he removed the divider/buffer and connected his 5v arduino straight. This shouldnt cause issues even tho the lines arent 5v tolerant aince the current is low and the actual high voltage is 2.7v to 5v on arduino. To better fix this issue I recommend using a 3.3v mcu instead or a better translator. That’s great news. Thanks for sharing! Today I tried to figure out the problems I have to turn on my display, I discovered that the R1 is 0ohm instead of 10kohm (for the 4-wire connection), so now I don’t know if I have to buy a 10k resistor to follow the datasheet or try with the configuration I found in this article. I have an Arduino Mega and I tried to connect the display with and without (via Arduino 5V connection) the external power supply. Any suggestion? Follow the datasheet or use my program on my blog. I follow your advice and I connected the display as datasheet, now i got just a blink of the display when i put the electricity via USB 😦 should I connect the Arduino at 12V instead of USB? or should I connect the display at power supply? Use normal 5v from arduino. What pin so you have as reset? Try c86 or rst. Glad we got this working! Enjoy that lcd. I love mines. What was the problem/solution ? The problem was… no backlight and no visual. . Solution was. . Change a couple of solder jumpers and modify code to remove sd card check. Great tutorial and great link to the display (http://www.buydisplay.com/default/7-inch-lcd-module-capacitive-touch-screen-panel-i2c-spi-serial). One question though: Which configuration of the display did you order exactly? 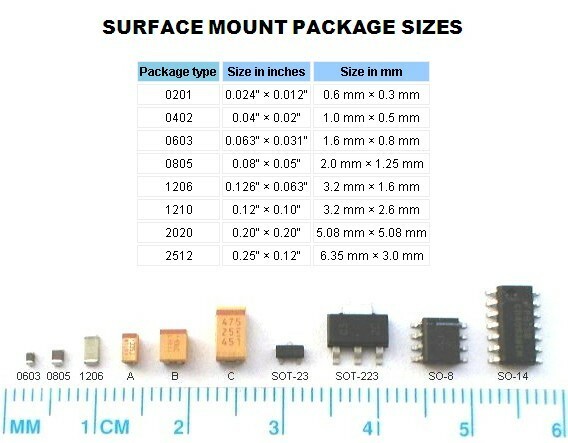 Any accessory for the parallel interface? 4-wire SPI or I2C? I took a look at your sample code, but I am not quite sure if the display will be supplied with the correct pins and what options I should choose when ordering. I ordered by display from ebay (http://www.ebay.com/itm/7-7-inch-TFT-LCD-Module-w-Multi-Capacitive-Touch-Screen-Panel-I2C-Serial-SPI-/291039825694). Not sure which interface version I actually ended up with. I had to resolder some resistors to make it 4 wire SPI. If I were to order again I would have ordered directly from buydisplay. On their page you can select which interface type, touch type etc. you want. Not sure if that means you don’t have to resolder anything. Thanks for the fast reply! So you used 4-wire SPI and the code posted here worked for you? What about the touch screen – do you communicate with it via I2C? Yes, it works with 4wire SPI. Touch is through I2C (separate pins). Make sure you chose capacitive touch panel when you order. Note that I used arduino UNO in my experiment. Might not work with Mega due to differences in I/O for interrupt. Great, sounds good! I have worked with the differences between different Arduino models before so that should not be a problem. I’ll get it directly from buy display then. Feel free to post your experiences when you start using it. Will do, although it will probably take quite some time for it to arrive… Thanks again! I’ve just tested with a Mega. I just moved the I2C from a4(SDA), a5(SCL) on the UNO to pin 20 and 21 on the Mega. Seems to work ok. Finally got my board this week but no luck so far 😦 I connected pins 1+2 to GND, 3+4 to 5V from Arduino Mega, 5 to Arduino 10, 6 to MISO on ICSP, 7 to MOSI on ICSP and 8 to SCK on ICSP. I measure 5V between pins 1 and 3. Still, it stays at “Trying to initialize RA8875 though SPI”. My resistors R1-R3 came pre soldered with 10k. I also tried with external power supply but cannot get the Arduino to notice the display… Any ideas? Been trying quite a bit and getting frustrated soon. I also tried connecting pin 12 to Arduino 9 and measured 3.3V at pin 12, which seemed strange… Would really appreciate any help! Have you verified that all of your “jumpers”/resistors actually are according to the manual ? Which pins did you use when you tried with the mega? The ICSP header or the 50-52 pins? And what about the CS/RST/INT? Really appreciate your help! Jason is a magician with this display, lets hope he’s out there watching. Thanks again for the help – also special thanks to Jason from atomsoft for being so helpful! I got it to work both on Uno and Mega. The problem was some issue with the boards.txt file… But now everything looks good and I have a working multi-touch keyboard implemented already. You guys are great! Hey heldge how about starting a forum? Or if I start one will you edit this page with a link to it? If you start a forum, I’ll link to it ! Ok, ill create one today most likely if I have time. And ill send you link. I’m trying to power the display via Arduino that it’s powered by battery (12V 4.5Ah – via power jack). The strange thing that is the values of voltage (5V for Vcc and 3.3 for BL) are the same as for the USB as for the battery supply but the display doesn’t work. Especially it “pulsates” if I connect the 3.3V pin to control the backlight and without that, the rest of circuit works fine but it doesn’t show me nothing. I asked already at atomsoft but we didn’t figure out yet 😦 any suggestion guys? i followed the artical and the messages. 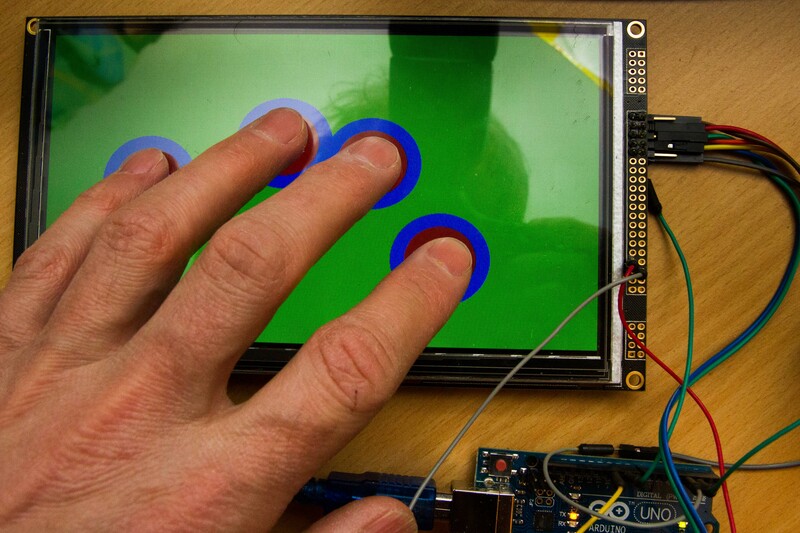 i am interested in using a 7″ LCD capacitive touch screen with an ARDUINO MEGA. i understand that you managed to do so but it seems that from the above information it is not a straight forward process. i get confused between the choice of equipment (there are many options on the page or the LCD ebay page) and i could not figure out if there is a hardware modification needed (soldering resistors), I2C vs. SPI communication and so on. can you recommend any further reading. i am trying to figure out the whole “picture”. I bought the LCD from ebay (http://www.ebay.com/itm/7-7-inch-TFT-LCD-Module-w-Multi-Capacitive-Touch-Screen-Panel-I2C-Serial-SPI-/291039825694) and wasn’t aware of the fact that it could be ordered in different configurations. So I had to resolder some resistors according to the manual. Flash and font chip… I don´t remember if I have them. I can check when I get access to the display again. With regard to the MEGA, it seems to work with my code. However, according to PaulStoffregen in http://forum.pjrc.com/threads/26256-Has-anyone-tried-running-the-GSL16880-capacitive-touchscreen-controller-with-Teensy3 it is claimed to only work on UNO due to some interrupt issue. If you run into problems you might want to try his fork https://github.com/PaulStoffregen/arduino-1. To clarify on the format: the first number is the pin on the TFT, the second one is the pin number of the Mega. So, for example, “5 10 SPI SELECT”, means pin 5 of the TFT should be connected to pin 10 of the Mega and is used for SPI Select. pins 1 & 2 of the TFT should be connected to phisical ground of the MEGA? pins 3 & 4 of the TFT should be connected to which voltage of the MEGA (3.3 or 5.0)? do you solder the wires directly to the TFT board or do you use a breakout board for the ZIF connector? Yes, pins 1 and 2 to GND of the Mega. I think the display can operate in 3V3 or 5V mode, which is selectable by one of the jumpers on the back. Default is 5V. So check the jumper but it should be 5V. Then connect pins 3 and 4 to the 5V pin of the Mega. I soldered cables directly to the 40pin connector and it works fine. With the connector it may be cleaner. while the LCD screen is on its way from hong kong i was wandering about the programming. the current LCD i am working with is from ITead Studio and it works with the UTFT and UBUTTUN lib which makes programming a straight forward task. i was wondeing whether the LCD from East Rising can also work with this lib? I was wondering if you have a pin out diagram of how all of the pins on the RA8875 connect to the Uno. and want to connect it to the Arduino UNO. Any help/guidance will be appreciated. Hi, I appreciate your help. buy a lcd 7 “buydisplay.com and wine bridges for 4 wire SPI serial. connect pins of the Arduino Mega and in the program, but not turn my backligh not see anything. the program is following him. //if you like another background color…. tft.setCursor(50,20);//set cursor work in pixel!!! //did you see the white dot? tft.println(“ABCDEF 1 2 3 4”);//this time println! Hi, I got this display with pmp interface. Do u have a code for that. I use mplabx and pic32 mcu. I order the 7’ display from Buydisplay configured for 4-wire spi, made the connection as described here with an UNO. Everything works perfectly. The thing is that I always supply power to the display from the Arduino UNO (5V and GND). I am now trying to supply power from another 5V source but the display does not turn on. It does not turn on even if I supply power from the UNO but power the UNO from the barrel jack with 12V instead of the USB. 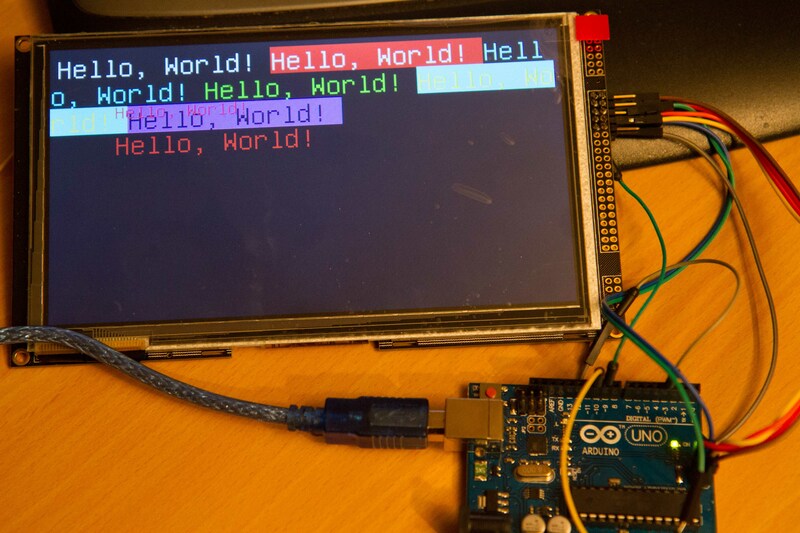 My goal is to have the display run from an Arduino Nano but I didn’t manage that either (I think the Nano has not enough current to drive the screen) and my problem is that I CANNOT POWER THE DISPLAY FROM ANOTHER SOURCE except the UNO 5V pin and only if the UNO gets power from the USB. Please can anybody help ! A lot of people has had this issue. Ill give it a shot later on.Unless helge knows. Thank you for your reply atomsoft. I am really stuck. Does this touchscreen support pressure sensing for a touch? i understand it may make a difference. what should i use? does pin 23 on ARDUINO MEGA 2560 supports inerupts? In order to make this idea a little more versatile (and/or to save some money for those of us that already have a LCD screen they like), could this be adapted to the buydisplay 7″ touch overlay? I saw in another section that you did have some success with their 5in overlay, so I imagine it is POSSIBLE. But that was a whole different chipsset the GSL1680 so it looked like you had to start from square 1 and hunt down and modify someone else’s build (again, nicely done). So, I guess part of my question is, since the 7in overlay seems to use a chip from a similar line (this uses FT5206 and overlay uses FT5316), would it be fairly easy to adapt the code from this project to fit that? Or would it be starting from scratch like you had to do with the 5in screen? Actually, I’m currently testing out a FTxxx based capacitive touch panel from Aliexpress (http://www.aliexpress.com/item/7-tablet-capacitive-touch-screen-handwritten-screen/1338500271.html). As you say, in theory it should only require some minor modifications to existing code. I’ve just finished soldering the tiny 0.5mm pitch lcd connector. I’ll do a post when (if) I have tested it. Hope I don’t run into problems with the controller firmware (as with the GSL1680) as indicated in this post. I wasn’t aware of the fact the Buydisplay had larger that 5″ capacitive touch panels based on FTxxx. Thanks for the info. Maybe I should buy one of them. Nice thread! I have the same display and I got it running on my Weathergadget protoboard. However the SD card reader never worked. Accordind to my logic analyzer, MISO is always pulled down. Did anyone got it to work? Although it worked, I will level shift SPI with a 74HC4050 and the I2C with two MOSFETs to avoid destroying the board. 1. the ER-TFTM070-5 need a seperate 5 VDC power supply because it can not be fed through the arduino. 2. i am ushng an ARDUINO MEGA board. on the scheme it says to connect the in/out lines from the display to the arduino. in the text above it says that some work need to be done because the voltage is not the same?